The grass was sweeter last year. I knew that, because I went around tasting it. I also knew that because I test the pasture juice with a refractometer (and a garlic press). In absolute terms, we still have a long way to go because our brix readings topped out at 6% total dissolved solids. In relative terms, it’s a huge leap because last year we were at 4%. These are low numbers because to animal health really depends on grass with brix above 12, but we are getting there! 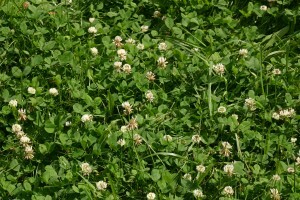 Other things I noticed: White clover came out in force last spring on the ground that was the worst off. 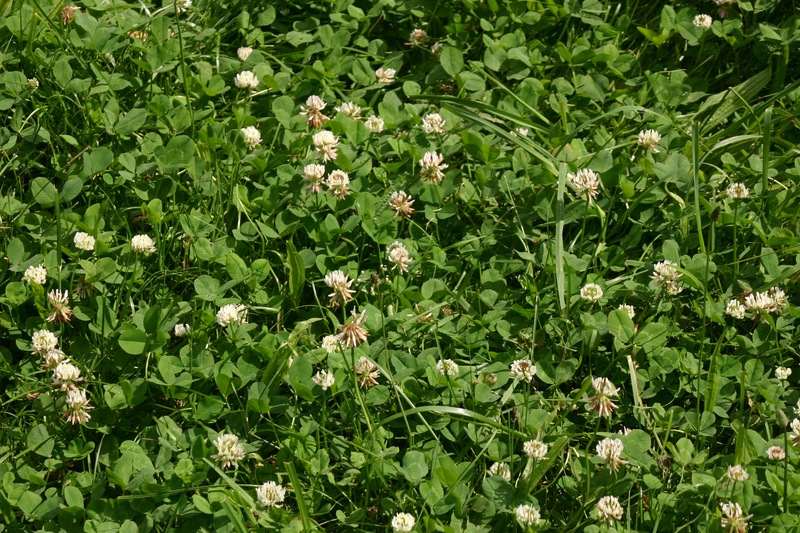 Clover & legumes need calcium to grow well, and they came out in abundance on our parking area/soccer field. All the animals liked grazing that part of our property best last summer, which is amazing to me because it wouldn’t grow anything at all when we started this adventure 6 years ago. Some selected tufts of orchard grass also grew with yellow streaked blades & stems, which I haven’t figured out yet. This is the first year I’ve seen that, so I think it’s from the barn lime and gypsum we put down. The better soils did not show a dramatic change, probably because the large amount of organic material on those paddocks quickly buffered out these first applications. Watch out for next year! I’ve got the next order of lime ready to go, and I expect to get this on one the ground in the next few weeks. This entry was posted in Farming, Grazing. Bookmark the permalink.